Charles March had not been a millwright but a carpenter, that might describe why he built such a sizable and sophisticated windmill nearly completely out of lumber. Originally just the ground floor had been brick nevertheless 2nd storey was reconstructed in stone following the mill stopped to be used because of its main purpose in 1864. Fireplaces and chimneys were added and mill was converted into residing accom­modation for six families. In 1975 the windmill’s first floor became a museum. As a result of a grant from the hallowed Heritage Lottery Fund, the sails were restored to working purchase in 1999 therefore the museum was extended into ground floor, where in actuality the exhibits relate primarily to the devel­opment and construction of windmills. There’s an accumulation of millwright’s tools and more than several design mills, all produced by the curator. Even though the ground floor is conven­tionally museumish, the collection is much more unique upstairs, and you'll discover down how Wimbledon windmill worked, see how whole grain had been milled to make flour and rise a ladder around the beds base of tower. Shown when you look at the bottom right picture below, one Victorian parlour has been retained to provide a flavour of resid­ential life within 1870. The volunteer staff are inviting and up to date. The store is stocked with all things Wimbledon and windmills, and in case you are short timely you can travel to it without having to pay the museum entry cost – that will be anyhow incredibly inexpensive. You could come right here for a month of Saturdays and Sundays for the cost of one ascent for the ArcelorMittal Orbit. 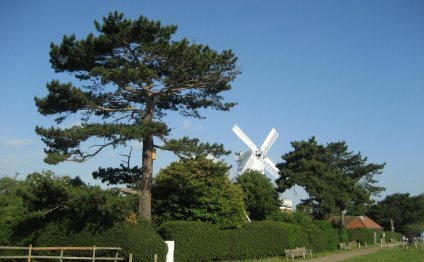 Wimbledon Windmill (grid reference TQ 230 725) is a grade II* listed windmill situated on Wimbledon Common in the London Borough of Merton (originally in Surrey), in the west of South London which is preserved as a museum.